Switzerland is uniquely positioned as host of the International Committee of the Red Cross (ICRC). 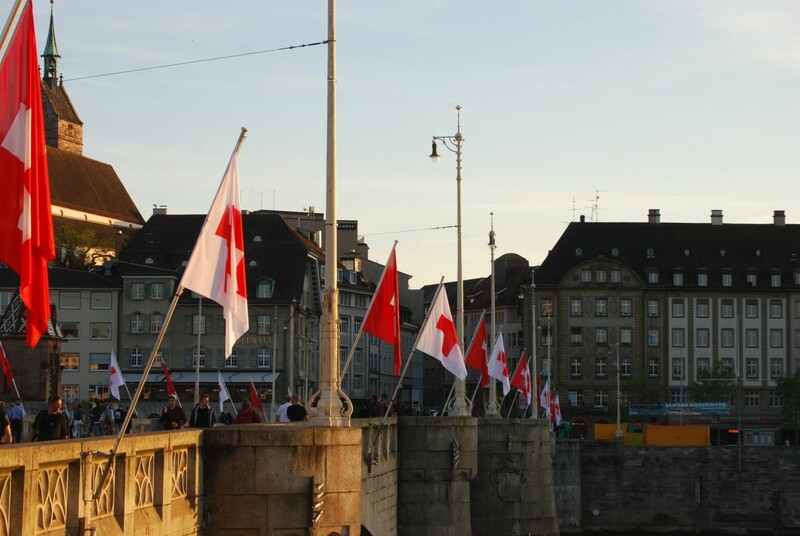 Swiss neutrality, Swiss humanitarian policy, and the Swiss flag are often associated with the Red Cross. As a result, a special relationship has developed between the country and the international humanitarian organization. My book, Hilfe schenken. 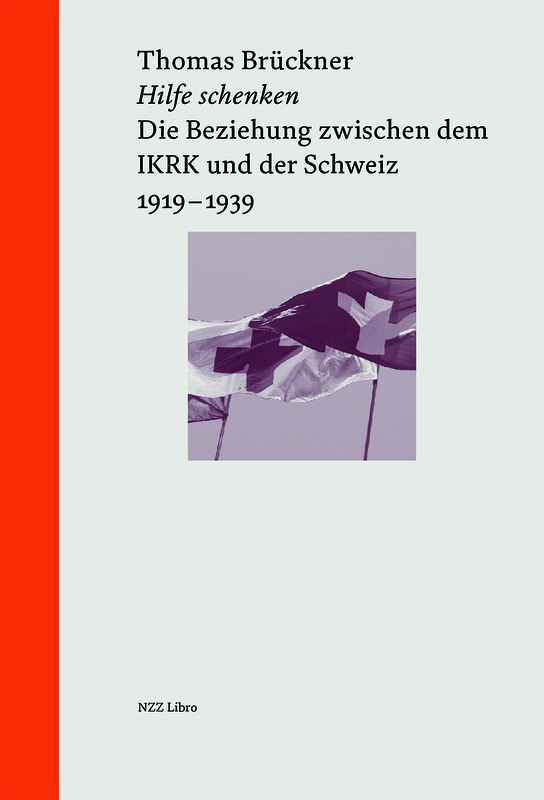 Die Beziehung zwischen dem Internationalen Komitee vom Roten Kreuz und der Schweiz (NZZ Libro 2017), critically explores this relationship during the period between the two World Wars (1919-1939) using sources from the ICRC archives, the Federal Archives of Switzerland, and a wide range of publications and private archives in Switzerland. At first sight, the interwar years were a calm period for the special relationship. Looking closer, however, exposes how the relationship between the ICRC and Switzerland changed and strengthened during this time, foreshadowing criticisms during Second World War that the axis between Bern and Geneva had become too close to guarantee truly neutral and independent humanitarian aid. Looking at ICRC missions in the field, for example, I found that the ICRC did not collaborate with Switzerland during the interwar years nearly as much as it had done during the First World War. This also held true for the refugee crisis after the First World War, and for several conflicts during the 1930s. However, Swiss foreign policy started relying more and more on its relationship with the ICRC. It was important for government officials to position Geneva and the ICRC as pillars of its neutrality and humanitarian policy in order to promote Geneva as the headquarters of the League of Nations. There was also competition about competencies and patronage when it came to developing international humanitarian law. Switzerland showed a great interest and provided resources to the ICRC. Members of the ICRC were in close collaboration with Swiss officials to prepare a convention for the protection of prisoners of war and the revision of the Geneva Convention. In 1929, a conference held in Geneva completed this work and 33 states signed the conventions. The Swiss and the ICRC positions were strengthened in the texts. Switzerland also provided resources and political support to the ICRC that had been increasingly challenged by the League of the Red Cross Societies since 1919. Indeed, Switzerland was in fear that a change of power in the movement could affect adversly the international scope of action of Switzerland too. At the same time, the ICRC opened membership to all Swiss language regions in search of political support and financial resources after the First World War. It changed from an exclusive Genevan to a Swiss institution. Thus, in 1928, the Zurich industrial and lawyer Max Huber, a high ranking government official and international judge, became the first non-Genevan president of the ICRC. In the same year, he managed to settle the conflict with the League of Red Cross Societies. From 1923 to the Second World War an acting Federal Councillor (member of the Swiss government) was also a member of the ICRC. It was the only time in the 155 year old history of the relation that Swiss government directly took a seat in the institution which propagates among others the principle of independence. Last but not least: Looking at sources like memorial speeches, exhibitions, radio plays or published histories about the Red Cross movement in Switzerland, the book concludes that a discourse of the special relationship between Switzerland and the ICRC grew stronger. French metaphers like Geneva or Switzerland such as the berceau de la Croix-Rouge were often employed for audiences in Switzerland with political aims. The book, written in German, may be of interest to those who study the development of international humanitarian law, the concurrence between international humanitarian organization, their strategies and the history of humanitarianism in Switzerland during the interwar years. It provides furthermore insight into some structural principles of humanitarianism. Thomas Brückner completed his doctoral dissertation on the relation between the ICRC and Switzerland in 2015 at the University of Zurich. He is co-editor of the book Wo liegt die “Humanitäre Schweiz”. Eine Spurensuche in 10 Episoden (to be published with Campus/Frankfurt am Main in September 2018). He studied History, Political Science and Sociology at Free University Berlin, London School of Economics, and École des Hautes Études en Sciences Sociales. This is Ashley Bakeer from Basel, Switzerland. I am working in ILS – International Language School. Ils-Basel Language School offers training in German Basel from the beginning. You can add your existing language skill in German and English from the school. It also offers tuition classes for e weak students for extra care. So, the students can Deutsch Lernen Basel in the language school or institute. The language school will offer training from the basic level. If the students are educated above the basic level, then the starting point will be the lower point of the base level. ILS Basel Is the most popular Language School in Switzerland. Please Visit our School or visit us Online.